Focused on preventing impaired driving in Colorado, officials at the Colorado Department of Transportation (CDOT) recently conducted a fascinating social experiment to expose just how dangerous it can be to get behind the wheel even after just a few drinks. This experiment involved a phony 3-hour brewery tour in Denver, during which a paid actor posed as a bus driver who would pretend to drink an alcoholic beverage at each stop (with there being three stops in the tour and these beverages actually being non-alcoholic beer). In addition to the bus driver, there was also a tour guide who was of a similar frame/weight to the bus driver. The guide was consuming alcoholic beverages at the same rate as the driver was drinking non-alcoholic beer. The intent here was to gauge what the driver’s BAC would have been had he been drinking real alcohol. Not one of the ‘tour’ participants ever said anything to the driver about his drinking alcohol during the tour and then getting back behind the wheel. Had the driver been drinking real alcohol, his abilities to safely operate the bus would likely have been impaired after his first drink, which would likely have elevated his BAC to 0.05. After the third drink, the driver would have been over the legal limit, likely having a BAC of around 0.10. Possibly compounding these findings is the fact that a CDOT survey conducted last year revealed that about 7 out of every 10 males between 21 and 35 years old think that it’s acceptable and not risky to drive after having one or two drinks. The experiment confirmed for us that many adults underestimate the dangers associated with driving after having a few drinks…This false sense of security that you can have two or three drinks and be fine needs to be challenged… It’s an illusion that continues to put Coloradans in danger. 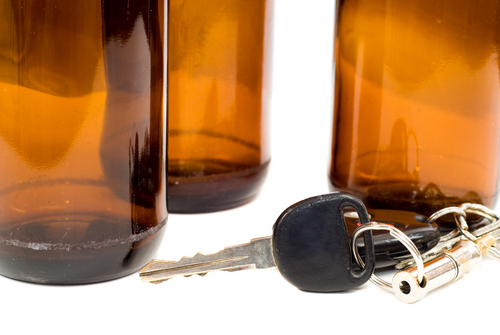 You are 400% more likely to crash when impaired. What do you think about CDOT’s experiment and findings? Share your opinions with us on Facebook & Google+. If you or a loved one has been charged with a DUI in Adams County (or anywhere in Colorado), an experienced Boulder DUI attorney at Peter Loyd Weber & Associates is ready to immediately start defending you. Our primary concerns are protecting your constitutional rights, helping you navigate the criminal justice system, and doing everything we can to resolve your case as favorably as possible.